It is important that you know what Appliance Repair Fair Lawn is all about and what we can do for the appliances in your home. 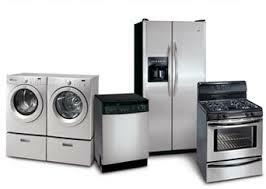 Our main focus is on administering quality service on home appliances of every make and model. However, we also place a lot of emphasis on speed of service and affordability as well. We are qualified to provide professional stove, fridge, washer, dryer, and dishwasher repair services. Our certified technicians will also fix microwaves, freezers, and ovens. You can count on our appliance service technician to do the job right the first time, every time. Our staff and crew are friendly, knowledgeable, and extremely helpful at all times. Each and every appliance technician on our team is dedicated to the idea of exceeding customer expectations. To ensure speed of service, our service vehicles are stocked daily with an array of spare parts. This process eliminates the need for our specialists to run back and forth to the office for the items they require to complete their mission. We take appliance service very seriously and do our very best to ensure customer satisfaction with the work we provide. One of the most important things you should know about our home appliance repair company is that we are extremely reliable. Our technicians are always prompt, hard working, and focused on the task at hand. At the core of our appliance repair service, is our unique ability to troubleshoot problems quickly and then provide the cost-efficient solutions that are needed. You simply will not find anyone that cares more about your appliances than we do. We are all about appliance repair. You should call us right away when your washer is leaking, the dryer will not spin or the temperature in your freezer is rising fast. Our experts will respond in a flash to replace an oven element or find a gas leak in your gas stove. 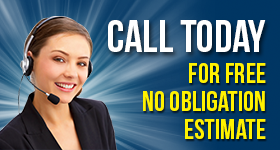 Contact Fair Lawn Appliance Repair for impeccable home appliance service you can trust.